SKF was founded in 1907 and is operating today as leader manufacturer of ball bearings. Part of a long established partnership, the day started with a visit to LSCT yard and quays, to provide the guests with the opportunity to discover the organization, the technology and the efficiency of a terminal operating 24/7, 362 days a year. Following the outdoor visit, a speech by Dott. 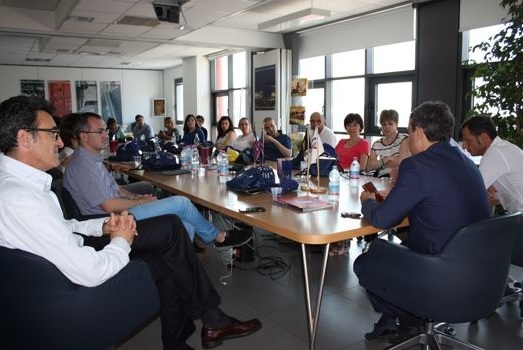 Elvio La Tassa, director of La Spezia Customs office, and a presentation focused on Porto Lab, the 10 years old project (of which SKF is a long-term partner) that opens up Contship terminals to primary schools, transforming the port yard in an open air laboratory. The visit ended in the afternoon, with a boat trip in the fascinating Gulf of Poets. 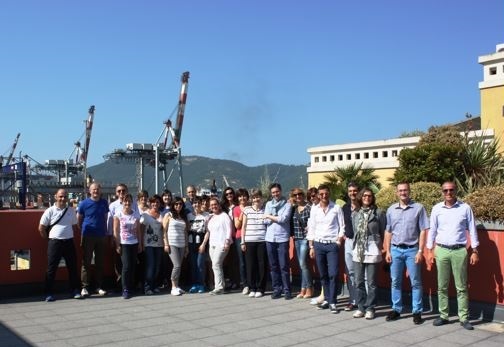 A local touch which makes La Spezia a unique place to visit for business and leisure!